If you are a fan of the Terminator films you might already know that the second in the series, Terminator 2 will be celebrating its 20th Birthday on July 3rd. 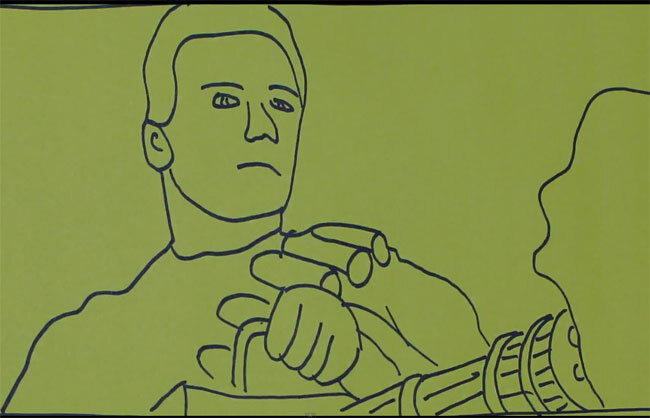 In celebration of this date the band Rymdreglage have created a video tribute to the film using hand drawn sketches of the best clips from throughout the film. Check out the video after the jump. Terminator 2: Judgment Day, commonly know as T2, was released in 1991 and directed, co-written, and co-produced by James Cameron and starred Arnold Schwarzenegger as the Terminator of course, Linda Hamilton, Edward Furlong, and Robert Patrick, and took place eleven years after the events of the first and original Terminator.